The Parkway Panthers clinched the District 1-5A baseball championship with a 6-4 victory over Captain Shreve on Friday night at Shreve. The Panthers improved to 23-5 overall and completed district play 11-1. Byrd (14-14, 8-2), which defeated Southwood 4-3, is in second with two district games left. The district championship is Parkway’s first outright title since 1998, according to Parkway coach David George, and first of any kind since moving up to Class 5A from 4A in 2011. The Panthers shared district titles in 2007 and 2008. 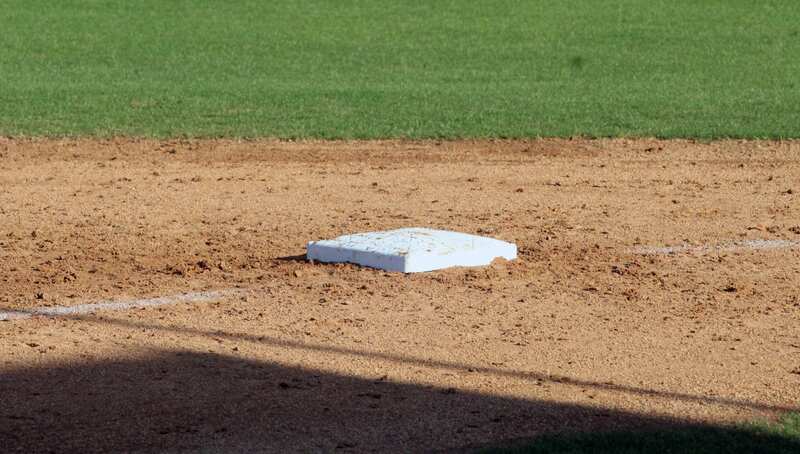 In the other 1-5A game Friday, Airline fell to Evangel Christian 3-2 at Evangel. In District 1-4A, Benton completed the two-game district sweep of Minden, defeating the Crimson Tide 6-1 at Benton. Benton improved to 25-5 overall and leads the district at 9-0. Minden dropped to 19-7 and 7-3. Northwood (15-10, 7-1) is in second. Benton and Northwood are scheduled to play their two-game district set Wednesday and Thursday. In a non-district game, Bossier defeated Plain Dealing 20-2 at Rusheon. At Shreve, Parkway’s Eric Brown went 3-for-3 with two doubles and an RBI. Gabe Larry went 2-for-4 with two RBI. Drake Fontenot got the win in relief. He allowed three hits, walked one and struck out three in 4 2/3 innings. Trailing 3-2, Parkway tied it with a run in the top of the fourth. Gabe Larry singled with one out and advanced to second on Hayden Knotts’ two-out single. He scored on Christian Vicknair’s single to center. The Panthers took the lead with two in the fifth. Brown led off with a double and stole third. Peyton Lewis walked and stole second, and Brown stole home to make it 4-3. Lewis scored on Gabe Larry’s groundout. Shreve cut the lead to one in the sixth. The Panthers answered with one in the seventh. Brown led off with a walk, stole second, advanced to third on Caleb Reese’s groundout and scored on a single by Gabe Larry. Fontenot set the Gators down in order in the bottom of the seventh. At Evangel, the Eagles broke a 1-1 tie with three runs in the bottom of the fifth. Airline scored one in the sixth to make it 4-2. Hayden Travinski hit a solo home run with one out in the top of the seventh to get the Vikings within one. But Evangel’s William Perkins ended the game with a pair of strikeouts. Travinski had two of Airline’s six hits. Cole Broadway had a double. Airline starter Dalton Burrell allowed two hits, walked three and struck out six in 4 2/3 innings. Hunter Whiteside didn’t allow a hit and struck out two in 1 1/3 innings of relief. Airline (17-13, 5-5) had a five-game winning streak snapped. Evangel improved to 13-14 and 6-4. At Benton, Daniel Halbert had a huge game at the plate, going 4-for-4 with two doubles and an RBI. Six other Tigers combined for seven hits. JT Brice went 2-for-3. Clint Lasiter had a double. Brennan Blaylock had two RBI. Brock Van Hoy was outstanding on the mound. He allowed one hit in six innings, walked two and struck out four. Dane Stearns struck out the side in the seventh. Benton took a 1-0 lead in the third. Halbert led off with a double, advanced to third on an error and scored on a Blaylock groundout. The Tigers added two in the fourth and three in the fifth. Tanner Timms and Cade Scott had one RBI each in the fourth. Halbert, Tanner Timms and Brice all singled in the frame. Halbert’s one-out double scored the first run in the fifth. Blaylock followed with a single, scoring Halbert. Timms’ sacrifice fly made it 6-0. Sam Simmons and Brice also had singles in the inning. At Rusheon, Bossier’s Jon-Mikal Robertson and Jamaal Brooks had three hits each in the three-inning game. Robertson had a double and four RBI. Brooks had two RBI. Avery Williams went 2-for-3 with four RBI. Kaleb McClinton went 2-for-4 with three RBI. Barrett Bussie had two hits and two RBI. Preston Allen also had two RBI. Coleman Beeson had a double. Chase Bounds had one hit and struck out five. Plain Dealing’s Atkins had a double and two RBI.